Nathan Williams the wunderkind is no longer. Plenty removed from the combustible young agitator who was also a prolific whiz of lo-fi, bare-bones-produced garage punk, he now sports shiny major-label digs and a production budget to boot. He doesn’t seem to squander it at all, rather he uses it to bolster his poppy, surf-soaked bent. (He’s also no less prolific, seeing that he just released a collaborative album No Life For Me with Cloud Nothings in June.) 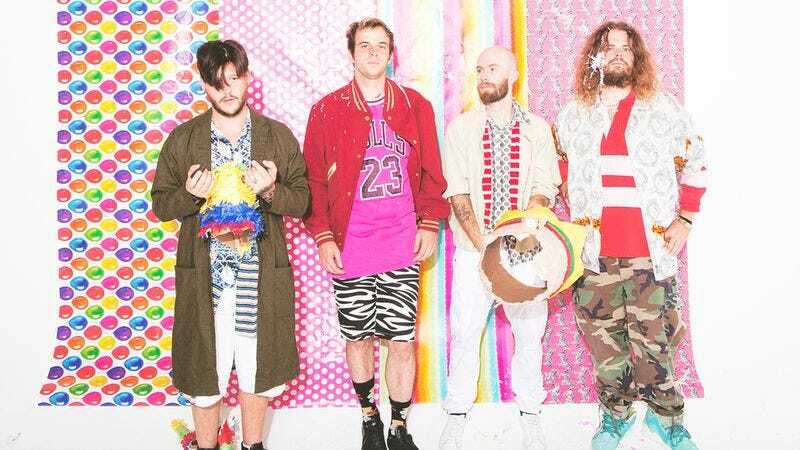 Since 2008, Wavves have gone from commanding a club and kicking one rogue beach ball into the crowd, watching while it pops around, to filling out a theater-sized stage, orchestrating a ceiling drop of a dozen beach balls, and triggering an oversized, sweaty dance party. What keeps V fresh is that to the side of Williams’ now familiar monster hooks—the ones that kick in full-bore, volume cranked after a crisp off-beat (“Heavy Metal Detox”) or after a jogging pop-punk drum beat and sharp snare roll (“My Head Hurts”)—he continues to weave in off-kilter grungy noise and oddities without ever threatening to knock the train off the rails. This is probably best heard on the album’s strangest jam, “Redlead,” which at one point shoots off to a minimal art-punk interlude in which Williams loops down-and-out lyrics while sideways guitar notes skitter across his snotty vocals. Even with all of that track’s bizarre fits and starts—and though it eventually devolves into blown-out distortion folding over itself—the whole thing is still too damn catchy. From “Heavy Metal Detox” on down Williams keeps V’s tracks compact and tight (none exceed three-and-a-half minutes in length). His wiggling, breezy guitar effects and vintage-pop woo-hoos coast beneath chugging rhythms from bassist Stevie Pope and drummer Brian Hill with such nonchalance that hooks occasionally scoot right by before you even realize your tapping your foot along with them. And though the album’s bottom half tapers off a bit—the huge cynical anthem “Tarantula” notwithstanding—it’s still exactly Wavves, and Williams’ snarl is no less up yours. 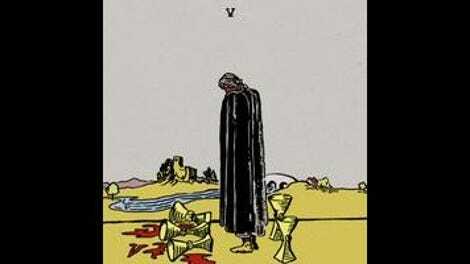 V is a more mature Wavves, sure, just as long as being mature means knowing how to lay down a hyper New Order-like guitar line on one track (“Pony”), then turning around and writing another that sounds like it could back a Marked Men B-side (the aforementioned “My Head Hurts”). And through all the super-production and hot tambourine lines, you manage not to shrug off the noisy dissonance that was such a key part of your earlier sound.